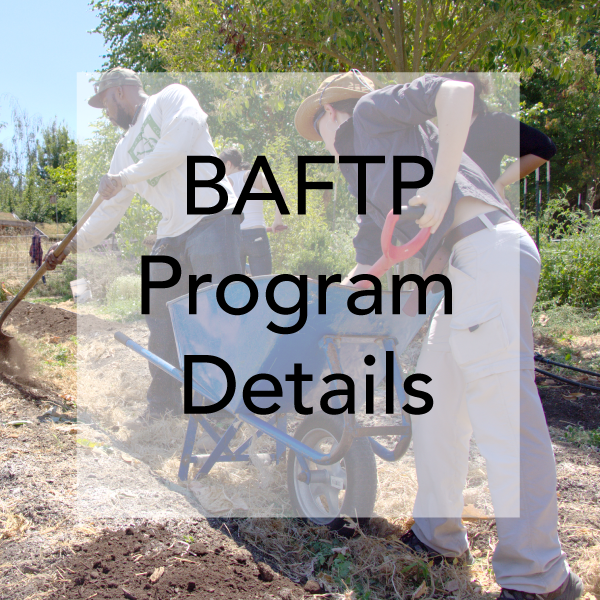 Working with populations in the Bay Area of California that are often the most affected – but the least empowered – in the current food system, the Bay Area Farmer Training Program engages, educates, and empowers those who aspire to farm as a career but face substantial structural obstacles to do so. Launched Spring 2016 as a partnership between MESA and Planting Justice, the Bay Area Farmer Training Program is a comprehensive learning, mentorship, and employment opportunity for new and beginning farmers to gain skills in agroecology, food justice initiatives, local marketing, and cooperative participation, especially designed for immigrants, refugees, and formerly incarcerated individuals. Overall, the program features experiential learning, site visits, participatory presentations, online curriculum, and ongoing mentorship support. In alignment with MESA’s mission, this program works to decrease cultural and resource barriers for beginning farmers, increase cross-cultural awareness and understanding among farmers and in society, and increase agroecological practitioners and practices to revive local food systems oriented towards earth stewardship, equitable economies, and multicultural alliances. This program has received financial support from a Beginning Farmer and Rancher Development Program (BFRDP) grant of the National Institute of Food and Agriculture funded by the Farm Bill and contributions from long-term MESA supporters. Please consider making a donation to MESA to help make this program a success for upcoming cohorts.